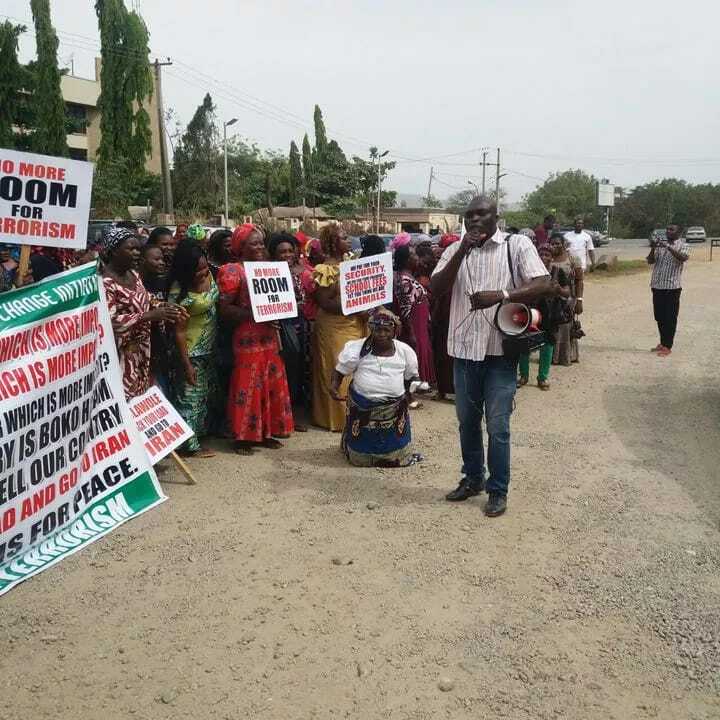 A group of protesters on Monday stormed the Abuja division of the Federal High against the judgement of Justice Gabriel Kolawole that the detained leader of the Shiite Islamic Movement in Nigeria (IMN), Sheik Ibraheem El-Zakzaky, be released unconditionally. National Chairman of the group, Okpokwu Ogenyi, said the judiciary has dealt a fresh blow to the future of Nigeria while leaving the rest of the people at risk of losing our lives. Ogenyi who described the judgement as ridiculous, wondered how the judge could order the release of a person believed to be a security risk to society through his extreme brand of foreign-backed Islamic radicalism. “Nigerians are ever ready to do the needful in safeguarding the future of our dear nation and hence would demand that Justice Kolawole be investigated by the National Judicial Council (NJC). “If the entire judiciary has activated its vendetta against the security agencies that they see as the executive arm, the precedence set by Justice Gabriel Kolawole took things to the ridiculous by awarding N50 million of tax payers’ money to finance IMN’s radicalisation programme, while also asking that the police further deploy its personnel to protect a man whose sect members would invariably kill like they had killed soldiers and policemen in recent past,” Ogenyi said. The group said Justice Kolawole had erred in his ruling, speculating that he made the controversial ruling taking for granted that security agencies use taxpayers’ money to protect him and other judges who do not know the magnitude of the threat that terrorism poses to citizens. WHAT AN IRONY OF JUDGEMENT. IN AS MUCH AS I DONT FAN THE EMBER OF TRIBAL SENTIMENTS OR PAROCHIAL APPROACHE TO ISSUES BORDERING ON TERRORISM. SECCESSION. RELIGIOUS BIGOTRY AND OTHER MUNDANE MATTERS THAT TEND TO DIVIDE OUR COUNTRY THAN UNITING HER, I CRAVE TO RAISE EYE BROW ON THE JUDGEMENT GIVEN BY THE RESPECTED JURIST , KOLAWOLE. WHILE JUSTICE BINTA NYAKO WAS THERE CADGING KALU FOR EVER WITHOUT BAIL IN THE NEAREST FUTURE FOR SPURIOUS CHARGES, KOLAWOLE IS THERE PASSING JUDGEMENT FOR FREEDOM AND HUGE AMOUNT OF MONEY IN THIS RECESSIVE TIME AS A RESTITUTION TO A MAN WHOSE PENCHANT WITH HIS GROUP FOR RELIGIOUS DISORDER AND KILLINGS ARE LEGENDARY. KALU CASE WHEN PROPERLY VIEWED IS A CASE OF ONE ASKING FOR INDEPENDENCE FROM HIS TRADUCERS WITHOUT HARM TO ANYBODY. BUT EL-ZAKYZAKY AND HIS GROUP ARE NOTORIOUS TIME IMMEMERIAL WITH MAIMING AND DESTRUCTION WITH LINK WITH OTHER EXTERNAL TERRORIST GROUPS THAT IF NOT PROPERLY CHECKED, COULD BE WORST THAN BOKO-HARAM. THEN, WHAT IS THE RATIONALE OF KEEPING KALU TO PERPETUITY AND GIVEN REPRIEVE TO SHIITE LEADER , IS IT ANOTHER BRAND OF IGBOPHOBIA?